The bag is in excellent condition but is creasing on the front. The structure can be fixed by a cobbler with a new stint/piping put in. The handles do not stand up on their own. 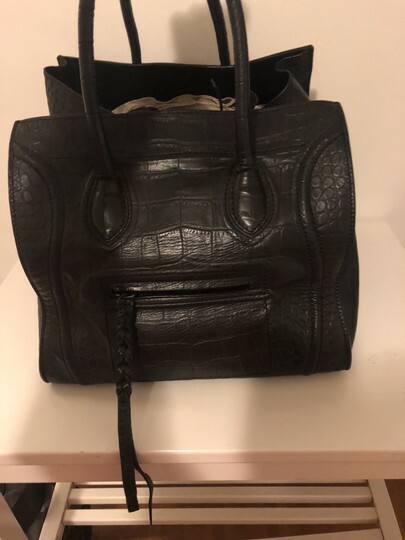 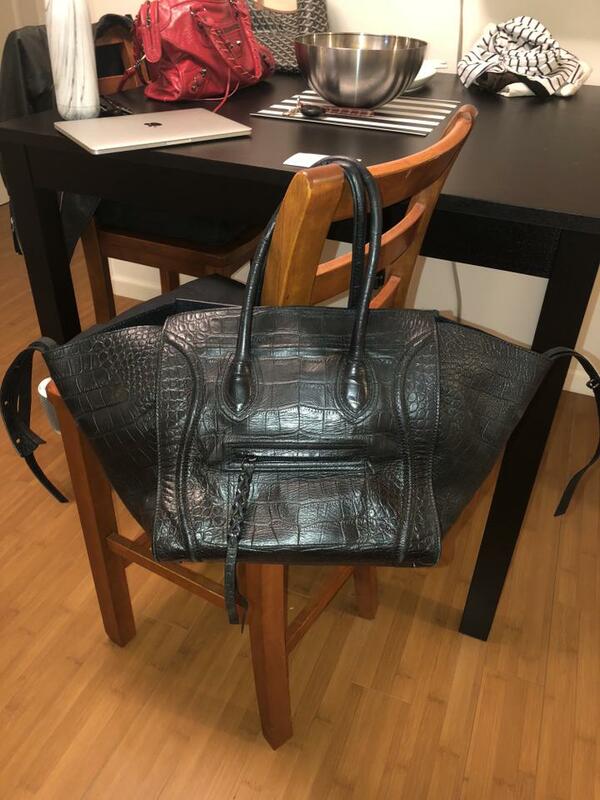 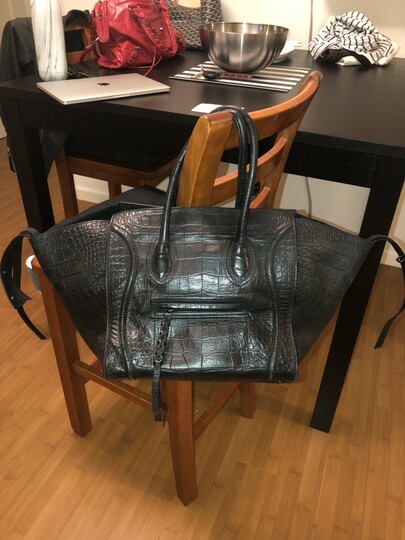 The feet/grommets have scratching and the bottom of the bag has faint discoloration (photos make it looks worse than it really is) Please reference all photos for exact condition details and feels free to ask questions! 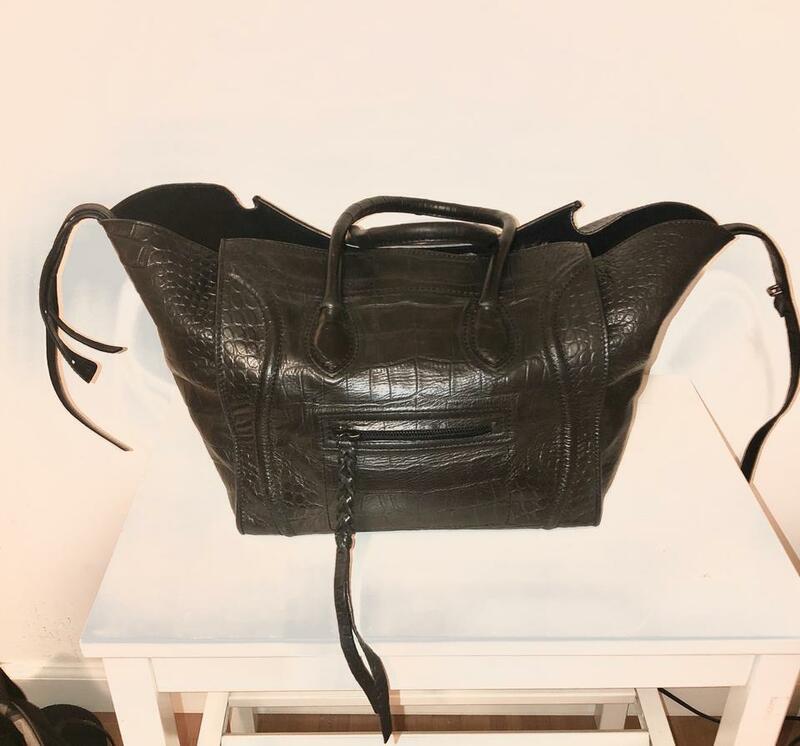 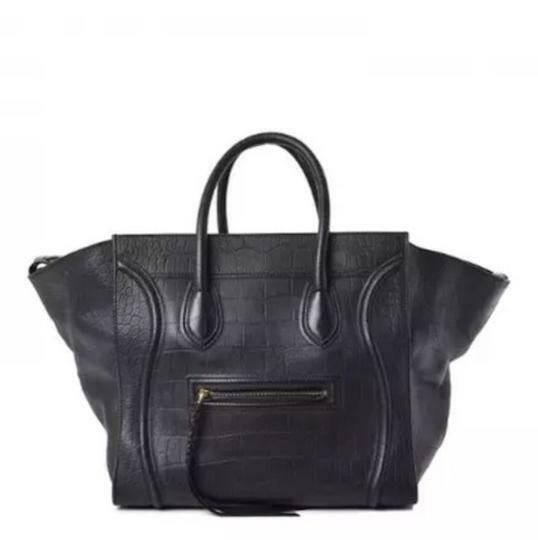 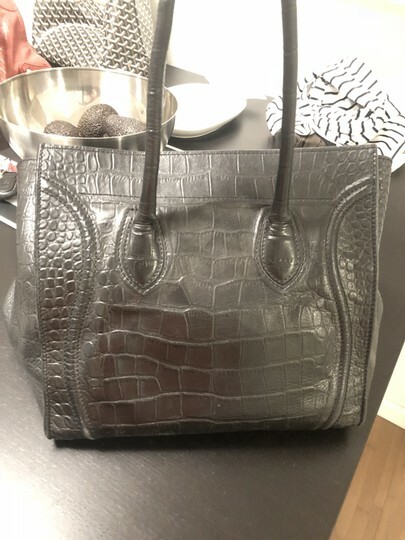 This stylish tote is crafted of luxurious crocodile stamped calfskin leather in black. 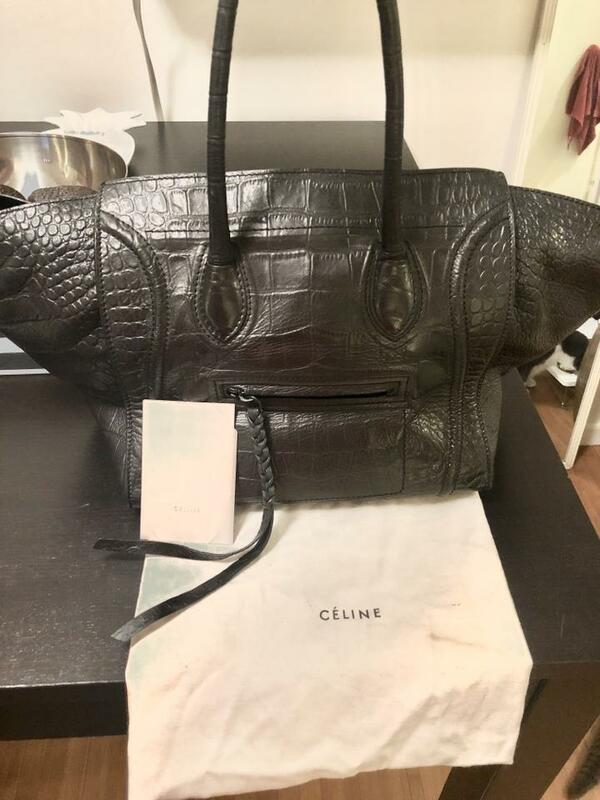 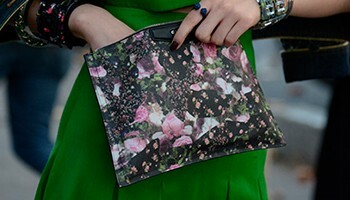 authentic Celine bag from the 2011 Collection by Phoebe Philo. 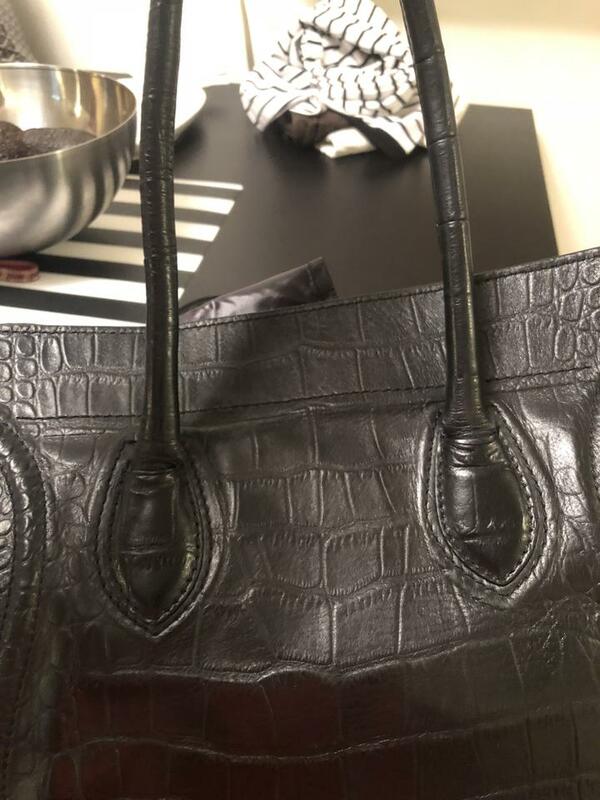 Black Croc Embossed calfskin leather. 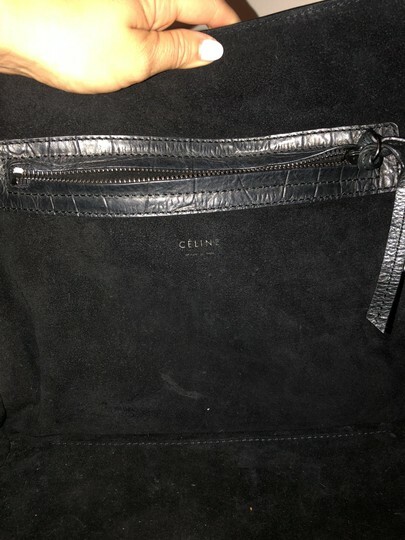 Medium Luggage Phantom Tote with single zip pocket at front exterior, tonal suede lining, single zip pocket at interior wall. Includes dust bag and Celine booklet. 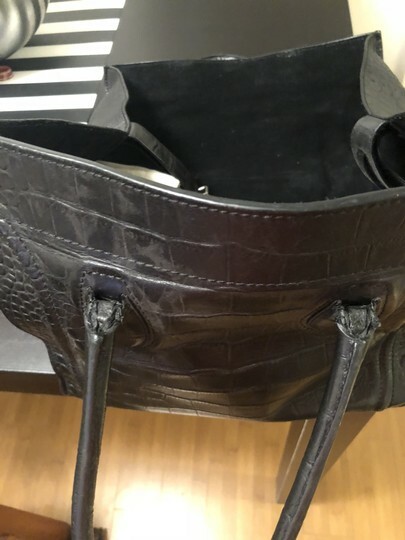 It features rolled leather top handles, leather scroll detailing, a front zipper pocket with a braided leather zipper pull and expandable winged sides. 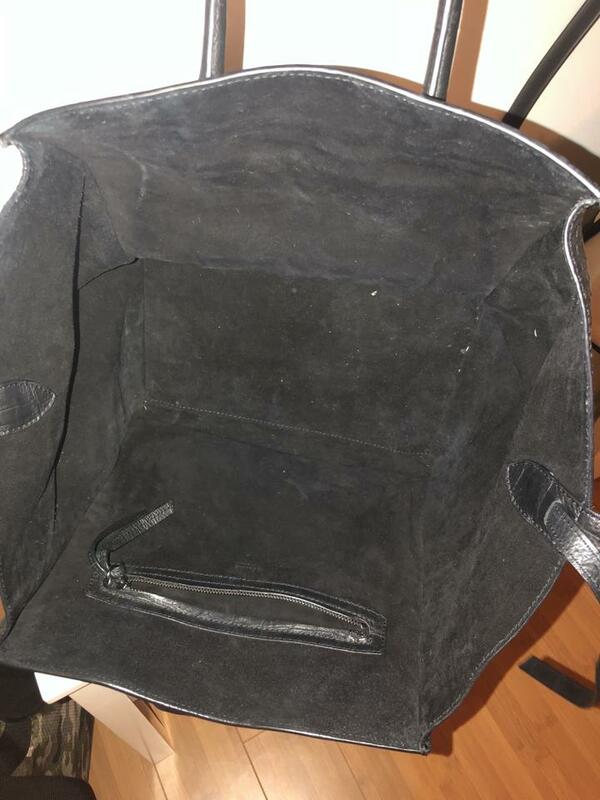 The top is open to a spacious black suede interior with a zipper pocket. 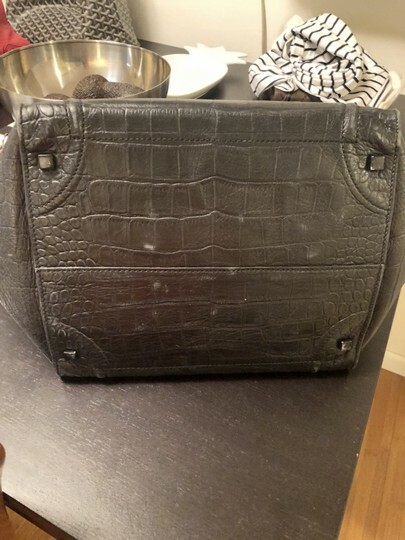 MW Listed by: Meredith W.